l'Ecole Du Bon Sens — erin pellegrino. How can space illustrate the un-seeable? How can it engage our senses? This thesis project was an attempt to orchestrate the architecture of the invisible, one that is sensed primarily by the nose rather than the eyes. 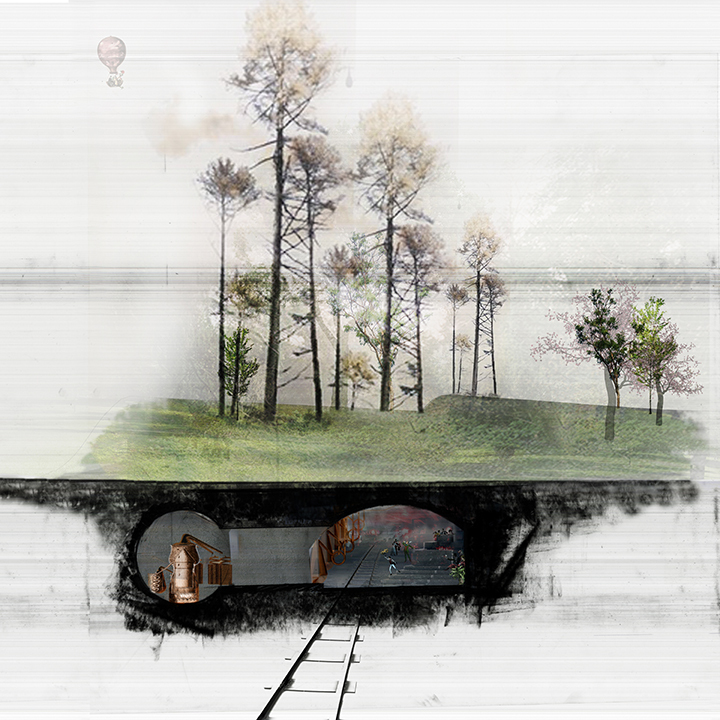 Taking advantage of an abandoned railway tunnel, the work focuses on the mediation of human perception and the earth’s richness of botanicals and essences. Both public and private, the intervention moves from city to garden through a Parisian perfume academy. 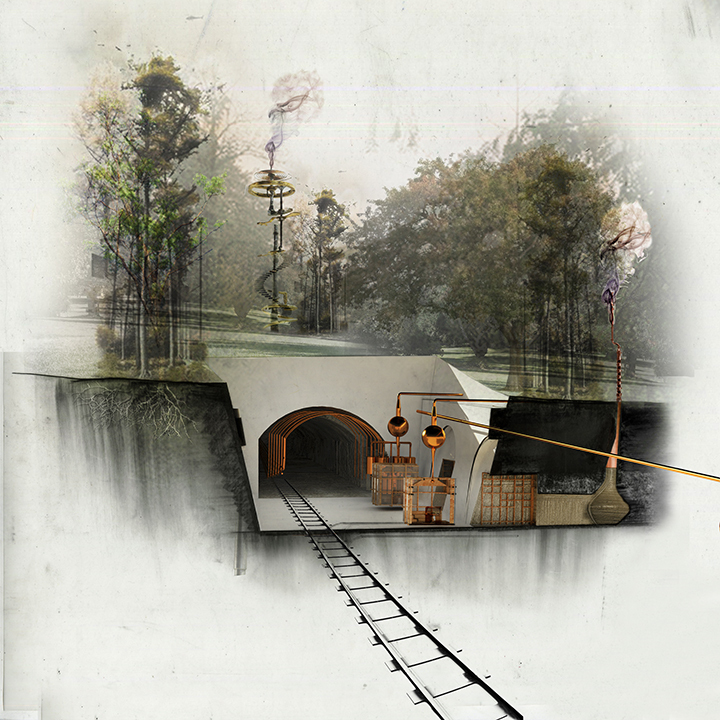 The scheme consists of several distinct moments along the linear rail track: the entry, the botanical cells, the bar and distillation area, the studios and scent rooms, the master’s studio and finally the exit/emergence into the Parc Montsouris. 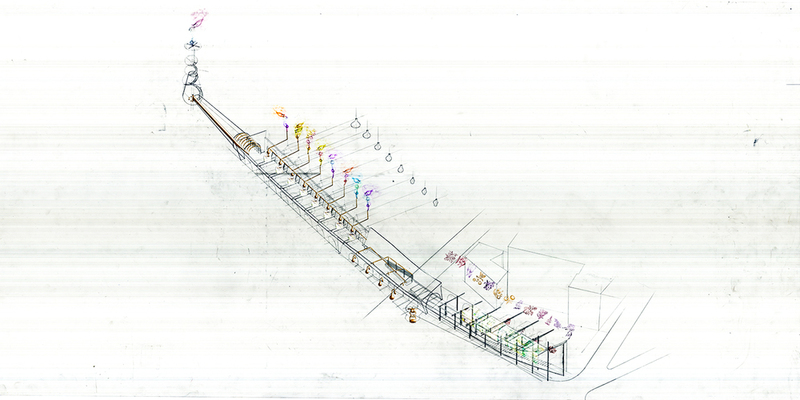 The composition is a processional experience to understand the interplay of space and scent. A large sectional model, made of cedar, was a useful tool in presenting the invisible qualities of the project, while still maintaining a traditional representation of an architectural scheme. 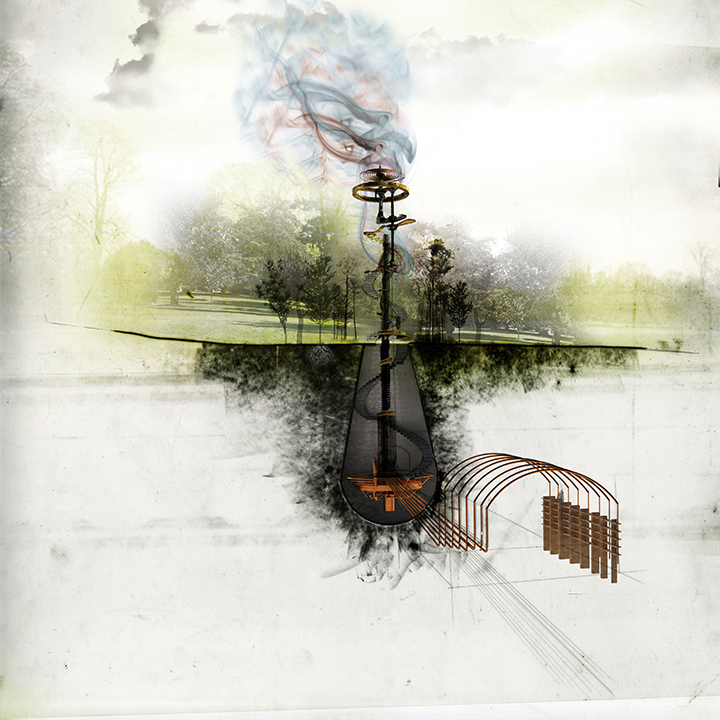 The drawings were developed using various hand and digital techniques to convey atmosphere, sectional qualities, and challenge typical perception in a two-dimensional format. The representation of the project was aimed at uncovering the invisible qualities of our senses, and bridge a disconnect between space and the experience of the body within it. The project was awarded the Charles Goodwin Sands Memorial Medal in May of 2014, which is awarded for exceptional merit in architectural design.